Home News Press Release: Australian Dates Announced! Press Release: Australian Dates Announced! 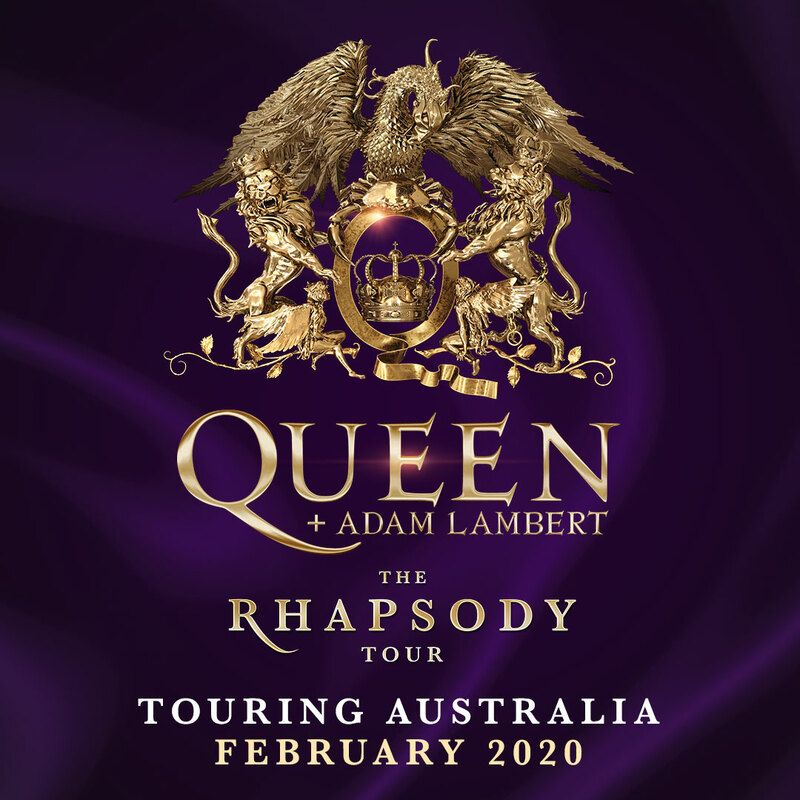 Queen + Adam Lambert – The Rhapsody Tour - Heading to Australian Stadiums in February 2020! Tickets go on sale from www.ticketek.com.au on Monday 15 April with staggered on sale times from 10.30am AEST. A Telstra Thanks presale starts Wednesday 10 April, with staggered times from 9.30am AEST and is open until Friday 12 April. Go to www.telstra.com/queen for further details including local market times. Indicative of Australia’s enduring passion for Queen – the Bohemian Rhapsody soundtrack spent four weeks at #1 on the ARIA chart and now enjoys Platinum status. Queen additionally achieved the rare feat of boasting three separate albums in the ARIA Top 5 – for five weeks this year. QueenOnline mailing list subscribers and Queen Fan Club members will be sent pre-sale information via e-mail shortly. Tickets for the RHAPSODY tour go on sale on Monday 15 April with staggered on sale times from 10.30am AEST @ www.ticketek.com.au. 7th April 2019 Press Release: Australian Dates Announced!